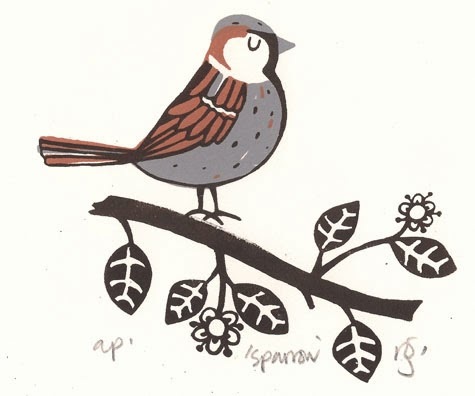 The sparrows have been making a right royal racket outside my window today. Anyone would think it was Spring or something. 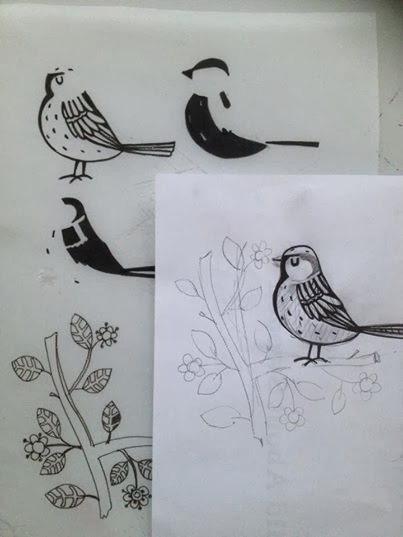 Here are a few pictures of my new 'Sparrow' print in progress. It's been an interesting one, as I decided to make the print composition as I sampled the different layers, rather than finalising the image in a drawing before I made my screens. Above is the drawing and film for the colour layers.Here's the finished print, it will be available on the website soon. Three colours down, and another to go.